When the Opposition accused the Modi govt for the rising incidences of farmers’ suicide it was MS Swamninathan who had come up with a positive report card hailing the govt’s pro-farmer initiatives. 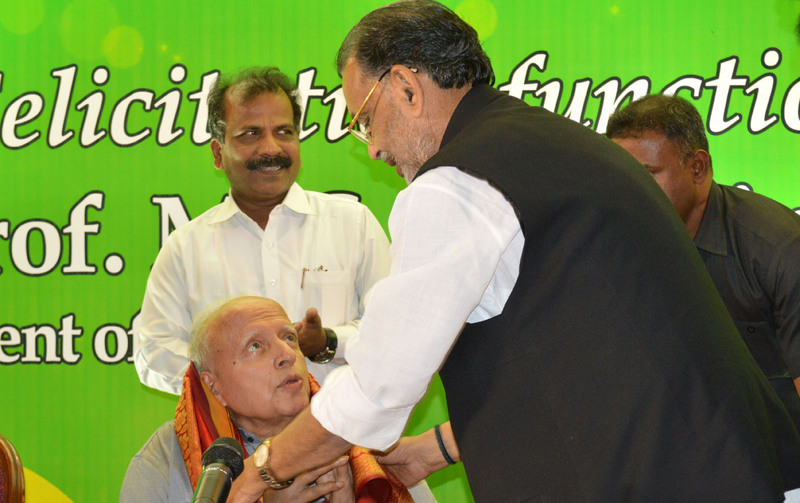 It was a thank-you event held in Chennai when Union Minister Radha Mohan Singh felicitated Prof Swaminathan on Monday. Felicitating Professor M. S. Swaminathan Union Minister of Agriculture Radha Mohan Singh said the efforts of Prof Swaminathan has made India not only self-sufficient in food-grains but also made it an exporter of grains to the world. Paying standing ovations to the Professor the Minister said that under the ‘Green Revolution’ programme led by Prof Swaminathan in 1960s made India self-reliant in food-grain in less than 25 years thereby bringing glory to Swaminathan as the scientific leader of India’s ‘Green Revolution Movement’. 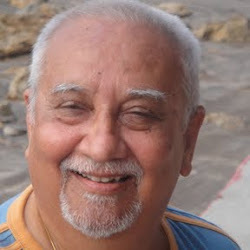 Singh added that Prof. Swaminathan has won many awards and recently won the World Agriculture Prize conferred by the Indian Council of Food and Agriculture (ICFA) for his research on genetics, cytogenetics, radiation and food and biodiversity conservation. The Union Minister asserted that the Prime Minister Narendra Modi led government is working towards all-round development of the agriculture sector. He referred to the Dalwai Committee constituted for doubling farmers’ income. The government is working with a concrete strategy in line with the recommendations of the DFI committee, he added. He listed several initiatives launched by the govt including Paramparagat Krishi Vikas Yojana (PKVY), Mission Organic Value Chain Development for North Eastern Region (MOVCDNER), e-NAM, Pradhan Mantri Fasal Bima Yojana (PMFBY), among others. Singh praised the role of ICAR and said that in the last three years, high-yielding variety crops that are tolerant to climate change, bio-fortified crops and new animal breeds have been developed. 150 seed hubs have been set up in the country, resulting in record production of 22 million tonnes of pulses, he underlined. He also talked about 45 integrated farming system models developed with an especial emphasis on livestock farming, poultry rearing and horticulture. Singh expressed hope that under the leadership of Professor Swaminathan, the agriculture and food security will continue to be sustainable in the coming years in India and the government will be successful in doubling the income of farmers within the given target.